Whether it is an extra inch or a full-blown spare tire, that extra weight you have around your waist might make for more than a few cringe-worthy moments on the scale. It might also be shaving years off of your life. A study by the Mayo Clinic, and published in the March 2014 Mayo Clinic Proceedings, found that men and women who had higher waist circumference measurements, even when they had a normal body mass index (BMI), died sooner. The findings suggest that BMI is no longer considered an effective tool in evaluating a patient’s obesity-related mortality risk. Body mass index (BMI) is a common measurement that uses a patient’s height and weight to evaluate obesity. When looking at BMI levels for adults, a measurement under 18.5 is considered underweight, between 18.5 to 24.9 is considered normal, between 25.5 to 29.9 is considered overweight and over 30 is considered obese. Calculating BMI was long considered an efficient method to screen for obesity-related health conditions. But BMI is not reliable as a measure of obesity. For one, at the same BMI level, women tend to have more fat than men, and older people have more fat than their younger counterparts. Another example is athletes, who tend to have more muscle mass and a high BMI, even though they are not considered obese. So what makes this news from the Mayo Clinic most surprising is that even if you have a normal BMI, your risk of shaving years off of your life increases the thicker your waist. Researchers at the Mayo Clinic pooled data that looked at over 600,000 Caucasian patients between the ages of 20 and 83 from 11 cohort prospective studies. Of these, 78,268 patients died during a median follow-up period of nine years. The results were staggering: Men who had a waist circumference of 43 inches or more had a 50 percent increased risk of mortality compared with men that had a waist circumference of 35 inches or below. This worked out to be a lifespan reduction of three years after the age of 40. 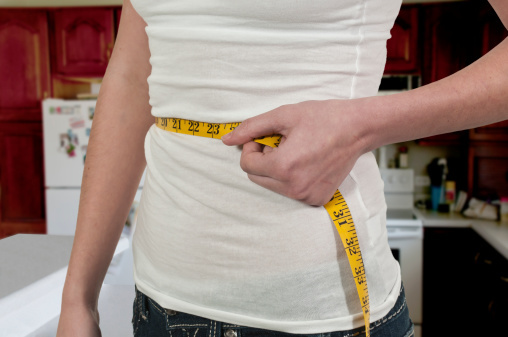 The same pattern was seen in women with a waist circumference over 37 inches. Women had an 80 percent increased risk of mortality compared to those with waist circumferences less than 27 inches. This finding corresponded to a lifespan reduction of five years after the age of 40. To break it down, the risk of mortality increased by seven percent in men and nine percent in women for every two inches in waist circumference, at all levels of BMI, even those in normal range. 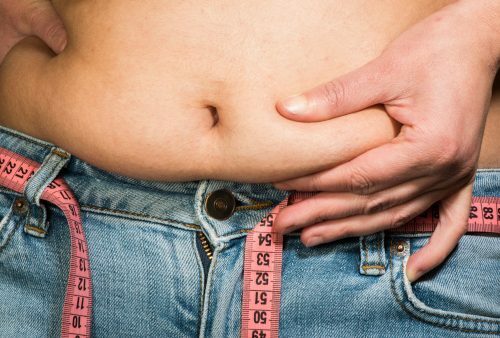 Your waist circumference, then, is a stronger indicator of how long you could live than originally thought. So by shaving a few inches or more off your waist, you could very well live longer, regardless of your BMI. While how much fat you carry is certainly an important health factor, research officially has shown that keeping a trim waist should be a priority.